It is the Chronic inflammation of tonsils. In my previous post I have showed you the Anatomy and Physiology of tonsils. If you have not seen that yet, I am requesting you to visit Tonsils In children Causes, Features, Diagnosis, Treatment of Tonsillitis here. I discussed here the basic things about tonsils. In that post I wrote about Acute Tonsillitis. Today in this post I am going to discuss about Chronic tonsillitis, its sign-symptoms, diagnosis, investigations and treatment. the ultimate treatment of Chronic Tonsillitis is Tonsillectomy. I wll also discuss about the Methods of Tonsillectomy, Indications of Tonsillectomy, Contraindications, Complications after tonsillectomy, post operative care, post Tonsillectomy pain management commonly known as “tonsillectomy pain“, how to control tonsillectomy bleeding,diet for tonsillectomy and at last some basic tips about tonsillectomy recovery tips etc. Usually follows acute or sub acute attacks of Tonsillitis when treatment is inadequate.It is common in children at the age of 4-15 years. Some times it may follows any of the exanthemas. Persistent or recurrent sore throat more than 3 times a year. Foul smelling from mouth or Halitosis. Tonsils are enlarged or fibrosed. Tonsillar lymph node or Jugulodigastric LN are enlarged, palpable, mobile & non tender. Inspissated pus may come out on from the tonsillar crypts after pressing the anterior pillars. Investigations and Differential diagnosis are quite same as Acute Tonsillitis. As i have said earlier Treatment is Surgery which is Tonsillectomy. Medical Conservative treatment is indicated when there is contraindication to surgery, patient refuge to surgery, in early stage. Special attention is given to improve the general health, nutritious diet and well ventilated room for the patient. Antibiotic: Low dose oral penicillin twice daily for long time. Removal of other septic foci. Tonsillectomy is the Commonest operation done by ENT surgeons worldwide. The first tonsillectomy was done by Celsus in 50 AD. Guillotine tonsillectomy was first described by McKenzie. 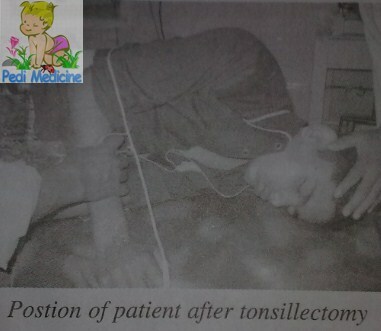 now there are various method for tonsillectomy. Repeated attack of acute tonsillitis at least 3-4 attacks in the past. Chr.Tonsillitis with acute excesevation at least3-4 times in a year and bed ridden with interference of normal daily activity and fails medical treatment. Huge enlargement of the tonsils causing mechanical obstruction to food or air way. Recurrent attacks of acute Rheumatism if associated with tonsillitis. Chr.S.O.M. when tonsils are source of infection. Recurrent cough, low general health, failure to gain weight. As a part of Uvulo palato pharyngoplasty. Coblation Tonsillectomy: Better than LASER, Ultrasonic scalpel or Cryo with Minimum bleeding, Minimum heat generated at operation site, Minimum post operative pain. Now practising in most of the Hospitals. Ultrasonic Scalpel: Minimum bleeding and Moderate Post Operative Pain. LASER: Minimum bleeding but more tonsillectomy pain. Not routinely done now. Keep the patient in lateral position until full recovery from anesthesia. Keep watching any bleeding from Nose or mouth. Record Pulse, Blood pressure, temperature, respiration and swallowing. IV Antibiotics and Analgesics is given to prevent infection and Reduce post tonsillectomy pain. Sore throat is quite common and it can be reduced by drugs. Reactionary Haemorrhage:-It occurs within the first 24 hrs. Secondary Haemorrhage:- Bleeding from tonsillar fossae usually occurs 5-10 days after operation. Among all the complications Haemorrhage is the most significant and furious.